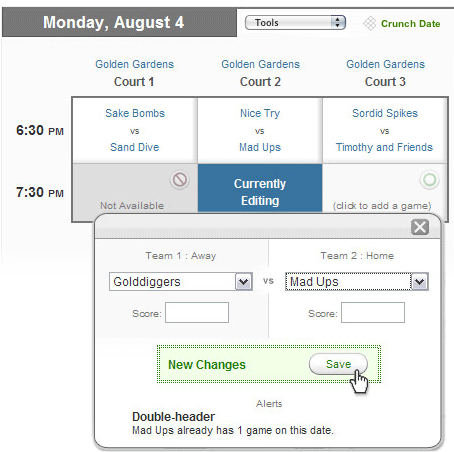 Features: League Lab is all you need to run awesome leagues & tournaments online. 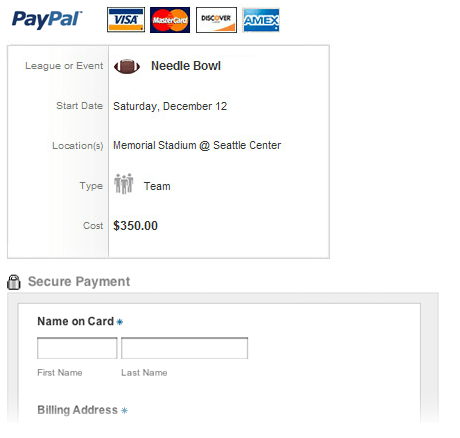 Showcase your activities, take registration, accept payments, and make the games happen. Great tools for your players, too. Features lists are great, but why not see for yourself! Easily customize the look and content on your site. You want a great looking home on the web for your league... but you don’t want to spend a ton of time on it, learn html, or hire a designer. Makes sense to us. 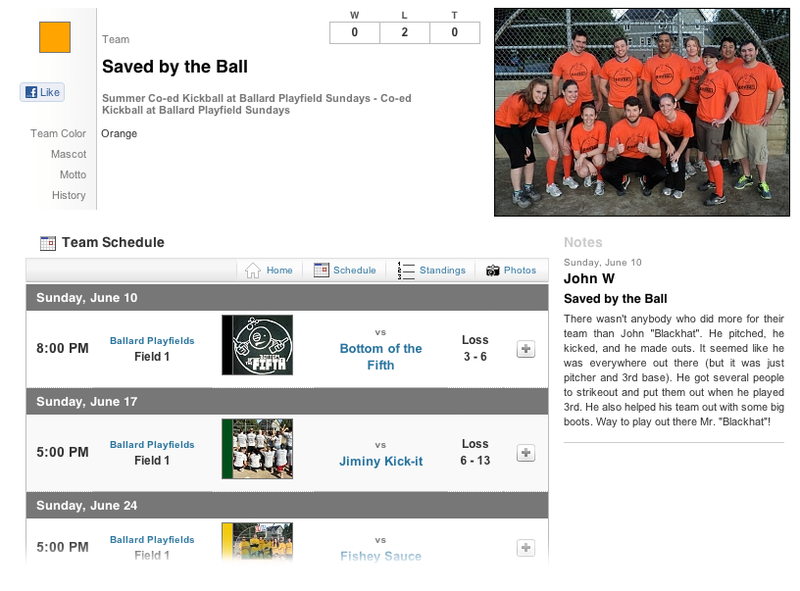 Schedule visually, publish instantly to your site. Sticky notes, spreadsheets, import, export, html, upload? No thanks. 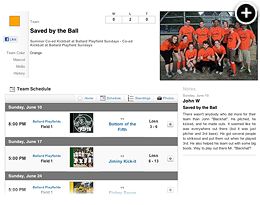 Upload pictures, show off your teams and activities. We should be writing about the photo feature… but we’re too busy looking at pics of ourselves and our friends playing kickball last weekend. 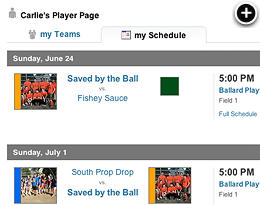 Team photo uploads and gallery creation are easy on League Lab, and your players will love them. Get your registration on the web (where it belongs). Paper pushing is a thing of the past. Your players are doing everything on the web these days, and they want to sign up with you online, too. 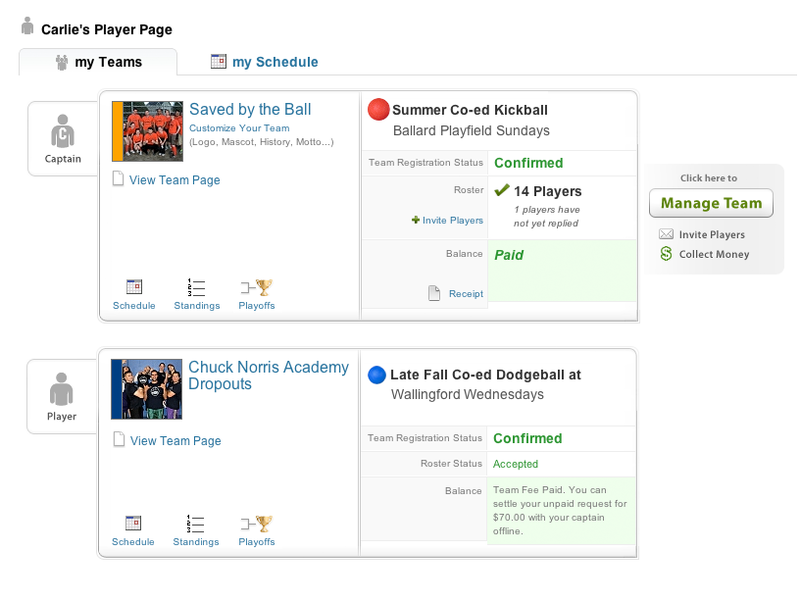 Once people register, they show up right where you need them to manage rosters, payment, and scheduling. Add payment integration and streamline getting paid. No more envelopes, notes jotted down on little scraps of paper, or “can you wait a couple days to cash that?” Make the money part easy on your members... and yourself. 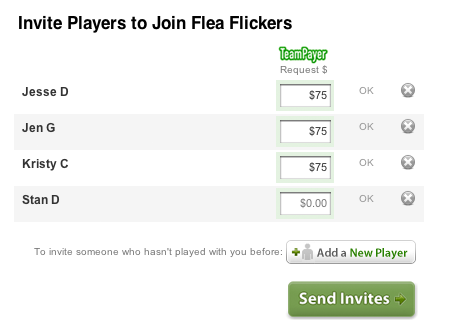 Players pay on your site, you track it in your admin. 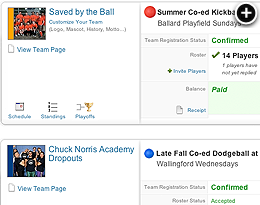 TeamPayer helps teams share the league fee. 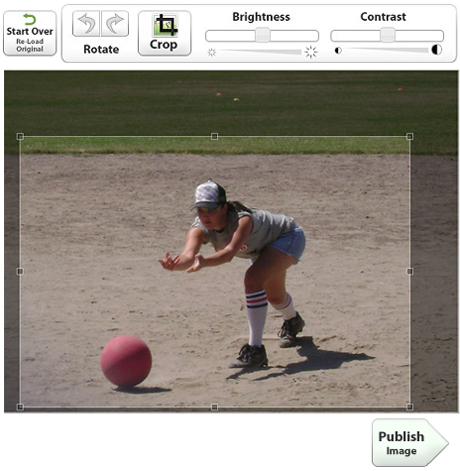 You already count on captains to organize the teams, register, and get their players to the field. That’s a lot of work. TeamPayer helps them collect money so they don’t get stiffed on top of it all. A happy captain means a team that keeps coming back. 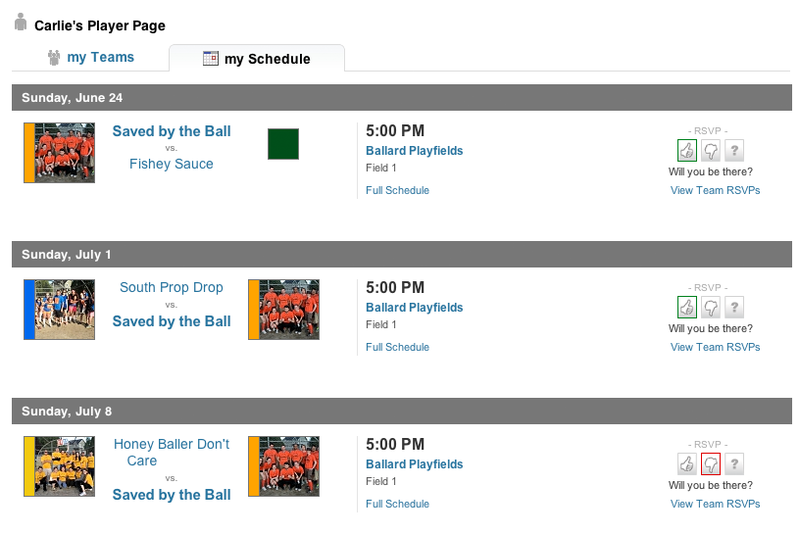 Pop scores right into your schedule. You don’t need to know HTML, and you never need to download or upload anything to do scores. Enter them just once on your schedule and they’re published live to the places you need them. Create limited accounts for staff so they can enter scores on your site without a paperwork hand off. 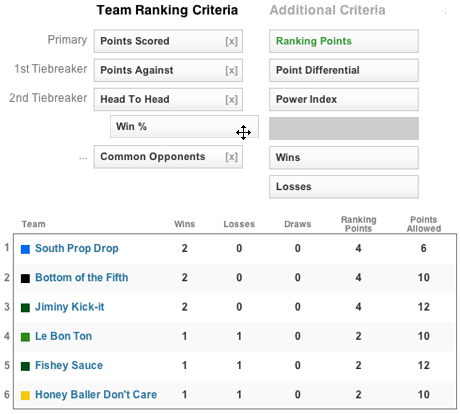 Standings are generated automatically as scores are entered, but you control the ranking criteria and what your players see. All as easy as drag and drop. Seriously configurable! Playoffs and tournaments just got easier. 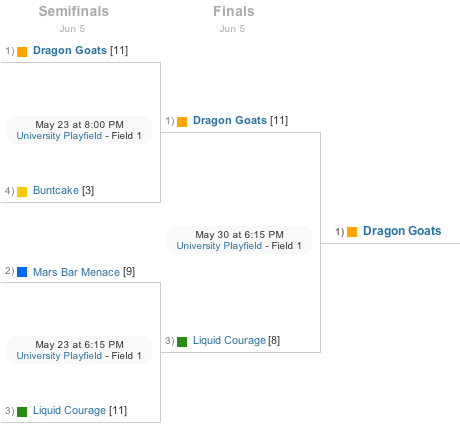 Make the playoffs at the end of each season more fun, or use them for tournament. 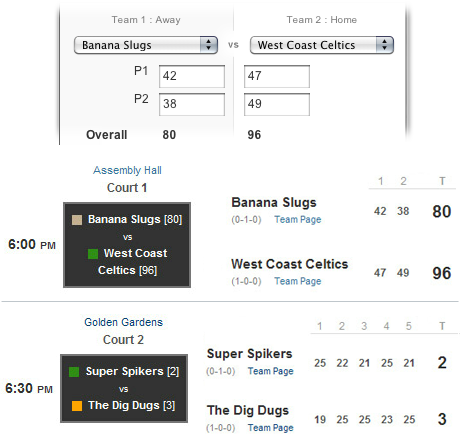 Madness isn't just for March... teams will make a run for the title right on your site! 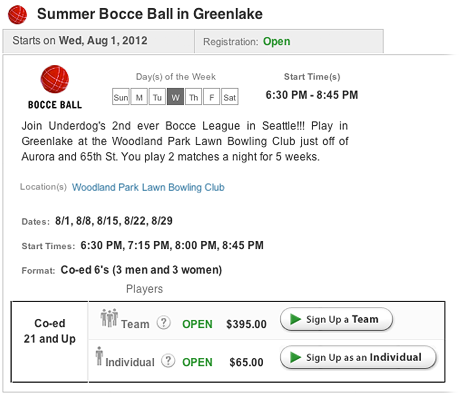 Set up is easy, and winners are advanced automatically when you enter scores.